At the 2018 UN small arms review conference, governments agreed to use national points of contact to strengthen the exchange of information and other forms of international cooperation. This bulletin fills that gap. We aim to inform national authorities every six months on good practices in small arms control and the latest developments in the United Nations, so that they have access to the most authoritative and tested methods and policies. If you, as a national official working on effective small arms control, are easily able to retrieve state-of-the-art tools and information, this will contribute to the goal of ‘disarmament saving lives’: the key objective on conventional arms regulation in the UN Secretary-General’s ‘Disarmament Agenda’. All UN Member States agreed in 2001 on a Programme of Action on small arms. Every six years, they come together for a review of their actions. The Third United Nations Conference to Review Progress Made in the Implementation of the Programme of Action (RevCon3) took place in New York from 18-29 June 2018. The Conference adopted an outcome document by unanimous vote, although there were separate votes on the two paragraphs mentioning ammunition. The outcome document should guide national, regional, and global actions on small arms control that governments undertake. At RevCon3, States stressed that while progress in the implementation of the Programme of Action on small arms (PoA) and its International Tracing Instrument (ITI) have been made, the “implementation remains uneven and that challenges and obstacles still stand in the way of the full and effective implementation […], including a lack of resources and differing capacities in many States, and underlined the need for enhanced and effective international cooperation and assistance”. 2030 Agenda: Acknowledging the link between the PoA and its ITI on the one hand, and the 2030 Agenda for Sustainable Development on the other, States agreed to take advantage of the implementation of and reporting under both instruments to support data collection for the relevant indicator 16.4.2. under the 2030 Agenda and to promote that arms control efforts should be placed in a wider development framework. Ammunition: The outcome document includes two paragraphs on ammunition. One welcomes the parallel process established under the General Assembly resolution on ammunition. The second acknowledges that States that apply provisions of the PoA to ammunition can exchange and apply relevant experiences, lessons learned and best practices. Both paragraphs were objected to by the United States and Israel in a vote. For the first time in the PoA process, the connection was made between the implementation of the PoA and combating gender-based violence. Given this outcome, national commissions on small arms are further encouraged to include officials working on gender issues in their work. New technologies: Increasingly, firearms are made from polymers, not metal. Modular weapons are becoming common, which has consequences for marking their parts. 3D-printing will be changing firearms production soon. In the outcome document, States responded to the opportunities and challenges of recent developments in small arms and light weapons manufacturing, technology and design in several paragraphs. Discussions at RevCon3 included the possibility of developing an Annex to the ITI, which could reflect those latest developments. Ultimately, States agreed in the follow-up section of the outcome document to request the Secretary-General to report on this issue well before the next meeting (Biennial Meeting of States in 2020). The report should include national views from Member States. Unauthorized recipients: RevCon3 included language on preventing the reactivation of deactivated weapons – nowadays a preferred method for terrorists in acquiring illicit weaponry. A section on best practices to ensure irreversible deactivation or destruction of firearms was agreed in the outcome document, specifying steps States should take to ensure that weapons are permanently made inoperable. Several references to terrorism and unauthorized recipients were also agreed upon, including a reference to Security Council Resolution 2370 (2017) which addresses terrorism. Follow-up process: States agreed in the follow-up section of the outcome document on biennial meetings of States in 2020 and 2022 and a Review Conference in 2024. 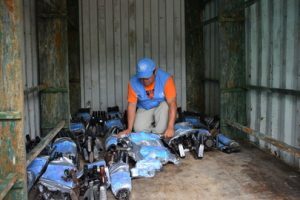 The one-week biennial meeting of States in 2020 will address the issue of diversion and illicit international transfer of small arms and light weapons to unauthorized recipients. 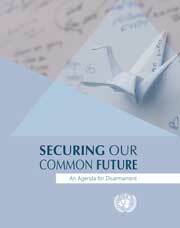 Under the title “Securing Our Common Future”, the Secretary-General issued his Agenda for Disarmament in May 2018. It highlights issues of disarmament and arms control in three domains: disarmament to save humanity (weapons of mass destruction); disarmament that saves lives (conventional arms, including small arms) and disarmament for future generations (emerging categories of weapons and means of warfare). The Agenda recognizes that efforts to address the problems posed by the illicit trade in small arms have been fragmented and limited. This issue is usually addressed from a narrow perspective of national security and crime. Recent recognition of the detrimental effects of small arms proliferation for development has opened a new opportunity to pursue a whole-of-government approach: tackling small-arms control through a single integrative lens, including legislation, police, cross-border trade, public health, gender, migration, maritime & aviation transportation safety, peacekeeping, development, and inner-city violence. The 2030 Agenda for Sustainable Development importantly affirms that combating the illicit trade in small arms and light weapons is necessary for achieving many Goals, including those relating to peace, justice and strong institutions, poverty reduction, economic growth, health, gender equality, and safe cities and communities. Broad, sustained, and integrated support for country-level action will be most effective, providing all stakeholders — recipient governments, donors, and implementers — with more opportunities, more coherence, and more return on investment. To strengthen the programmatic approach to small arms control together with impactful funding, the Agenda underlines the clear need for the United Nations to pursue a new model for sustained and coherent small-arms-related funding. To meet this need, the Secretary-General will establish the Saving Lives Entity (SALIENT): a new fund to provide more sustainable solutions for the small-arms scourge, with a strong development focus. Funded through SALIENT, integrated country-level approaches will be developed in collaboration with the affected States, and with the support of United Nations country teams. More information will follow shortly. Do you have colleagues working on Disarmament, Demobilization and Reintegration? Does your country contribute troops to peace operations? Let your relevant colleagues know there is a new tool available for their work. Peace operations have grown more complex. Conflict may still be raging. Multiple armed actors may be involved. Mandates often include weapons management. Regional organizations play a role. And weapons management practices have evolved. The United Nations thus needed to better address what is needed on the ground. 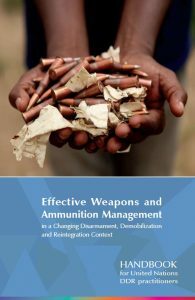 The UN’s Department of Peacekeeping Operations (DPKO) and the Office for Disarmament Affairs (ODA) have launched a new resource: “Weapons and Ammunition Management in a Changing Disarmament, Demobilization and Reintegration Context”. The handbook is available online in English and French. This handbook provides DDR practitioners with practical guidance on how to design and implement state-of-the-art DDR programmes – including innovative community violence reduction (CVR) approaches – that take into consideration the most recent international standards and guidelines. MOSAIC, the Modular Small-arms-control Implementation Compendium, formerly known as the International Small Arms Control Standards / ISACS) and the International Ammunition Technical Guidelines (IATG) represent fundamental components of the handbook and are referenced throughout. 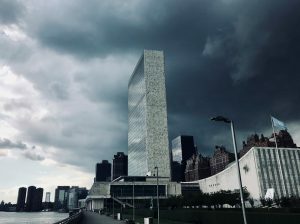 The publication illustrates how the United Nations system is consistently working on increasing the effectiveness of peace operations, in a coordinated way. It also supports the international community in implementing the comprehensive 2030 Agenda for Sustainable Development. Under the 2030 Agenda, DPKO and ODA support States in achieving the Sustainable Development Goals (SDGs), in particular Goal 16 on peace, justice and strong institutions. The material in the handbook directly addresses target 16.1, on reduction of all forms of violence; 16.4 related to a significant reduction of illicit arms flows; and 16.a on strengthening national institutions for building capacity for preventing violence and combating terrorism and crime. For hard-copies of the handbook and for any other queries, contact conventionalarms-unoda@un.org. National reports: High submission rate reflects political commitment to PoA. Did your government submit? Every two years, states submit national reports on their implementation of the Programme of Action (PoA) and its International Tracing Instrument (ITI). In 2018, UNODA received 119 reports, hitting a record high since the adoption of the PoA in 2001. It reaffirms the political commitment of States to tackle the scourge of illicit small arms. A number of good practices have been distilled from 2018 national reports. National reporting has multiple utilities. Not only does it facilitate information exchange and transparency on small arms control among States, it also identifies needs for international assistance; establishes a basis for measuring progress; promotes gender considerations; and supports data collection for the 2030 Agenda for Sustainable Development. A newly launched online tool on PoA reporting presents relevant functions and data, including country profiles and statistics. 2018 National reports can still be submitted. Please contact conventionalarms-unoda@un.org. Increasingly, officials know that they can benefit from the United Nations’ practical, authoritative modules with advice on small arms control measures. Over 110 countries have reported applying our modules when they work to improve their small-arms control measures. All modules are available free of charge on the UN website. The UN developed this set of modules under the name International Small Arms Control Standards, ISACS in short. They aim to translate into practice the objectives of key global agreements and international law. And they are based on best practices, codes of conduct and standard operating procedures that have been developed at regional and sub-regional levels. Now, the UN is relaunching them under an immediately recognizable name: MOSAIC. MOSAIC stands for Modular Small-arms-control Implementation Compendium. MOSAIC remains a collection of modules based on the very best advice from experts around the world. They range from how to establish a national small-arms commission or set up a national SALW action plan, to modules on stockpile management, gender, or weapons marking. And many more. Identify the small arms actions your government wants to improve on. Then pick those modules relevant to these actions and let these inform and inspire your government’s work. They’re available in a growing number of languages. By properly basing their small-arms control endeavours on the MOSAIC modules, countries reduce the risk of weapons falling into the hands of criminals, armed groups, terrorists and others who would misuse them. 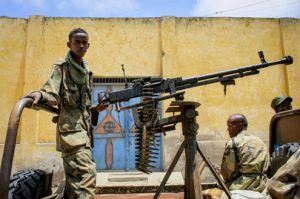 Transparency: Which governments are reporting their small arms transfers to the UN? Did you know the Register of Conventional Arms (UNROCA) is an important global tool for building confidence and trust among States – contributing to conflict prevention as a result? It’s basically a commitment by governments to report to the UN, every year, their imports and exports of weaponry, which the UN then makes public. The data collected through UNROCA may help States to identify excessive and destabilizing accumulations of conventional arms, which pose a risk for international peace and security – or could help start dialogues between countries on their security environment and possible arms limitation. Initially, only heavy weapons were reported, from battle tanks to combat aircraft to warships. But since 2003, transfers of small arms and light weapons (SALW) can also be reported to UNROCA. Already 80 States have reported their exports and imports of SALW. In recent years, approximately two-thirds of national reports submitted to the Register contained data on SALW transfers. Submitted reports are available on www.un.org/disarmament/register. UNROCA is reviewed every three years by a Group of Governmental Experts (GGE), containing some twenty officials from different countries. A GGE usually makes recommendations on the further development of the process. The most recent GGE (2016) composed a short questionnaire to collect Member States’ views on whether or not small arms and light weapons (SALW) should be elevated to the status of a formal category under UNROCA (in which case SALW would become the eighth category of weapons covered by UNROCA, and reporting on SALW transfers would become a formal requirement). The UNROCA questionnaire can still be returned. And regular UNROCA national reports can still be submitted at www.unroca.org/reporting/login. The United Nations Office for Disarmament Affairs stands ready to assist Member States with their submission. Contact conventionalarms-unoda@un.org for your government’s username and password, to submit your country’s response to the questionnaire or any other inquiry. 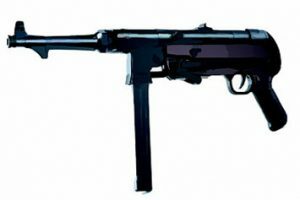 Development: Is small arms control a development issue? Armed violence, at all levels, infringes on development in many ways. It forces people to flee their homes, destroys infrastructures and social and health services, increases unemployment, heightens gender-based violence, forces schools to close, impedes investment, facilitates organized crime, enables corruption and, as most victims are usually young adults, it robs communities of the work force that is needed to propel development. Small arms problems affecting development involve legally and illicitly held weapons. Legally-held weapons can obstruct development when they are poorly managed and misused. Negative effects may include violations of human rights and humanitarian law, and domestic and sexual violence. Mismanagement of small arms happens when governments cannot effectively control the arsenals under their custody and cannot properly enforce the laws that regulate civilian ownership. Inadequate regulations and deficient storage facilities are usually the reason why small arms end up in the wrong hands. Porous borders, corruption, illegal craft production, rampant crime and lawlessness all contribute to the ubiquitous presence of illicit small arms in fragile societies, denying development to civilians in massive numbers. The 2030 Agenda for Sustainable Development endorses the view that development needs a secure environment to thrive. It calls explicitly, in its target 16.4, for a significant reduction of illicit arms flows. Effective small arms control will help meet many other Goals and targets – from gender equality to safe cities, from economic growth to poverty reduction. Small arms control is, indeed, a non-negligible activity that States must take seriously as they strive to achieve sustainable development and the well-being of their people. In practice it means that governments will need to include small-arms control in their development plans, and in their development structures. Does your national commission on small arms include development experts? Contact conventionalarms-unoda@un.org for ideas on how to involve development considerations into your national or regional small-arms-control activities. New Technologies: How best to control polymer, modular and 3D weapons? 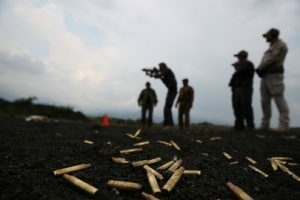 Over the last decade, weapon design and production methods have emerged that could negatively impact effective small-arms control. For example, small arms are increasingly made of polymers (plastics). This can make them undetectable. It also has consequences for how the unique marking on a weapon is applied: Inscription? Laser? Stamping? We also know that if a criminal has erased the marking on a polymer weapon, its reconstruction is almost impossible. Then there is the increased use of modularity in small arms design. If a weapon has exchangeable parts, this has consequences for where the marking should be applied. Also, additive manufacturing, mostly known as 3D-printing, is on the rise. It is a set of production technologies through which objects are fabricated by adding successive layers according to a digital design. Originally mostly making use of plastics, but metals are now used as well. 3D-printing presents unique proliferation and control risks. These new technologies and their opportunities and challenges have been discussed by all UN Member States beginning in 2011, including those challenges related to financial and technical resources. At the 2012 Second Review Conference of the Programme of Action and ITI, Member States requested the Secretary-General for a report on implications of recent developments in SALW technology. This report provides a comprehensive, easy-to-understand review of technological developments considering weapons tracing requirements under the ITI, including implications for ITI implementation. It addresses materials, design and production techniques as well as new technology applications. In 2018, the Third Review Conference of the Programme of Action requested the Secretary-General to submit an updated report on recent developments in manufacturing, technology and design, particularly polymer and modular weapons, and to make recommendations on ways to address them. States stressed the importance of consultations on this topic in order to reach consensus before the seventh Biennial Meeting of States in 2020. The updated report of the Secretary-General is expected to be released in 2019. The unique, deeply societal characteristics of the small arms problem necessitates a comprehensive mainstreaming of gender perspectives in all dimensions of small-arms control. To date, gender has been insufficiently addressed and integrated into policies regulating small arms. And if gender dimensions are not adequately dealt with when regulating small arms, the success and effectiveness of interventions will be limited. Armed conflict and criminal violence affect women and men differently. Men form a massive majority of firearm owners and constitute an absolute majority of perpetrators of armed violence, including gender-based violence. Thus, often over 80 percent of victims of small arms violence, in all societies, are young men. For women, guns and domestic violence form a deadly combination. Globally, over one third of murders of women are committed by their intimate partner, and in many countries guns are the weapon of choice. In conflict settings, sexual violence facilitated by armed intimidation is a recurring scourge. Attitudes towards arms often diverge between the sexes. Weapons are effective power multipliers, enabling the holder’s dominance by their mere presence. They facilitate expressions of masculinity related to intimidation rather than to constructive problem-solving. Where men may perceive owning a weapon as a means towards increased power, security and status, women are more likely to see the presence of arms as a threat to their own and their families’ security. Women remain underrepresented in small arms control processes and are rarely in decision-making positions. Ensuring their equal and meaningful participation and representation is a precondition for bringing a diversity of perspectives and gender concerns to the domains of international, national and local security, leading to more inclusive, effective and sustainable policy outcomes. At the Third Review Conference on the Programme of Action, all States recognized the importance of the issue of gender mainstreaming and agreed to take targeted action as part of their fight against the illicit trade in small arms. National authorities can make use of the MOSAIC module on ‘Women, men and the gendered nature of small arms and light weapons’, which provides guidance and advice on designing and implementing gender-responsive small arms control initiatives. MOSAIC contains 24 modules. They provide the best advice for small arms implementation measures, on all important elements. In this Bulletin, we pay extra attention to three of them. Governments aim to create and enforce effective national controls over the full life-cycle of small arms and light weapons. That requires cooperation and coordination among a wide range of actors. Not only government agencies; often also civil society, the private sector and intergovernmental organizations. A national coordinating mechanism on small arms and light weapons control can help to ensure that all relevant parts of government work together with national and international partners to conceive, direct, monitor and evaluate safe, relevant, and efficient control measures. Over 80 countries having already a functioning national commission or are working on its establishment. 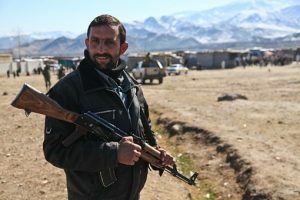 For guidance on how to set up a national small arms commission, go to MOSAIC on www.un.org/disarmament/salw. > It is the best basis for future procurement needs. The systematic control of weapon stockpiles involves a philosophy of ‘due care’. It requires that States take a pro-active, rather than a re-active approach to ensuring that weapons are adequately accounted for and secured. Proper stockpile management involves considerations about which types of weapons are needed for which forces. It includes a solid assessment of best possible locations for depots. A risk assessment of all stockpiles is an essential element of a comprehensive approach. Appropriate physical security measures, functional weapons accounting systems, and simple processes for the determination of surplus stocks complete what’s needed. For guidance on adequate stockpile management, go to MOSAIC on www.un.org/disarmament/salw. If a country is committed to improve the way it addresses the issue of small arms – nationwide or in a region – it will first need to determine the situation. A small arms and light weapons survey collects information within a specific geographical area and analyzes it. A good survey helps determine what causes the main problems, which can range from illicit cross-border trade, poor stockpile management or corruption, to dysfunctional licensing systems, lack of enforcement capacity, or sustained misuse. Or, most likely, a combination of factors. Its final report is the document that presents the findings and recommendations of the survey. Small arms and light weapons surveys provide an evidence base upon which to consider what initiatives, policies and laws are needed. Having such an evidence base is essential to avoiding situations in which small arms and light weapons control efforts are carried out based on assumptions that later turn out to be incorrect – wasting money, failing to deal with problems effectively and preventatively, and leaving serious security and development challenges unaddressed. For guidance on how to conduct a small arms survey, go to MOSAIC on www.un.org/disarmament/salw. Over the years, the United Nations Security Council has discussed the destabilizing effect of the accumulation of small arms and light weapons in armed conflicts, both as a stand-alone item and as part of its consideration of the protection of civilians in armed conflict. In 2013, the Security Council adopted the first-ever thematic resolution dedicated exclusively to small arms and light weapons. Resolution 2117 (2013) focuses on the illicit transfer, destabilizing accumulation and misuse of small arms and light weapons. The resolution illustrates the broad impact of small arms and light weapons on the work of the Security Council, including in the areas of arms embargoes, peacekeeping operations and curbing terrorism. Two years later, resolution 2220 (2015) expanded on the language of the first resolution. It includes provisions aimed at better implementation of United Nations arms embargoes. And it underscores the importance of appropriate peacekeeping mandates, including effective reintegration and demobilization programmes, and support to the Arms Trade Treaty. Resolution 2220 (2015) also critically recognizes the role of women in tackling the small arms challenge – and the importance of assisting States in enhancing their stockpile management. At the request of the Security Council, the Secretary-General has issued five reports on the theme of small arms and light weapons, in 2008, 2011, 2013, 2015 and 2017. One key advice: the UN should always include a weapons angle in the geographic or thematic topics under its consideration. 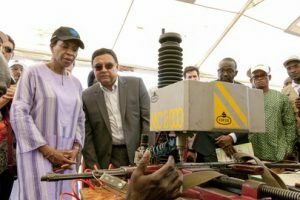 Since the United Nations Trust Facility Supporting Cooperation on Arms Regulation (UNSCAR) was established in 2013, 64 projects on an aggregated budget of $9 million have been implemented. Some 140 States have benefited directly or indirectly from the activities funded by UNSCAR. Each year, UNSCAR selects small-scale, quick-impact, targeted assistance projects for funding through an annual call for proposals: a competitive application process. In addition to that, UNSCAR funds special-circumstances projects in response to urgent and unpredicted situations year-round. Areas addressed range from illicit production, tracing, stockpile management, end use/end user control, brokering to gender-related considerations and public awareness-raising. UNSCAR received 53 applications through its 2018 Call for proposals, which was open in June and July. 24 applications have been already approved or endorsed by national authorities, including eight proposals submitted on behalf of the government by an UN entity or an NGO. Successful applicants will be notified in early November. Visit www.un.org/disarmament/unscar to find out more about the UNSCAR trust fund and how your country can benefit. The negative impact on development of the illicit trade in small arms is evident. The 2030 Agenda for the Development includes a target that explicitly refers to the need for a significant reduction of illicit arms flows. The cross-cutting issue of small arms and light weapons requires a coherent, cross-sectional response: from improving warehouses, destroying surpluses, and training police, to strengthening legislation, rolling out community safety programmes, and providing alternative livelihoods for former gang members. This requires a large-scale, flexible funding mechanism that enables implementation of coordinated, integrated small arms control measures in most-affected countries. For this purpose, the Secretary-General of the United Nations is establishing a dedicated funding window within the Peacebuilding Fund: The Saving Lives Entity (SALIENT). The precise modalities of SALIENT will be developed in the coming months, and the entity is expected to become operational in 2019. 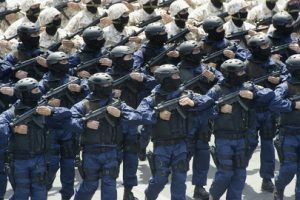 Have you ever wondered if technical trainings can be provided to your country’s armed forces or law enforcement? Or if an assessment could be done on your national small-arms legislation? Or about any other assistance on small arms from experts that know your part of the world? Established by the General Assembly, the Regional Centres have been assisting States in the areas of disarmament, arms control and non-proliferation for more than 30 years. The Centres facilitate regional dialogue and confidence building; provide capacity building, technical training and legislative assistance; promote disarmament, non-proliferation and arms control instruments , and undertake outreach, research and advocacy. On small arms, our Regional Centres assist governments in improving physical security and stockpile management and in preventing trafficking. They do legal and technical reviews, advise on regulating private security companies, and foster peace and disarmament education. They work with parliamentarians, government officials and women-led civil society organizations to mainstream a gender perspective into small-arms regulation and promote the engagement of women in decision-making processes. With youth groups they advance cultures of peace. UNLIREC, UNRCPD and UNREC work closely with States, (sub-)regional organizations, other UN entities, non-governmental and civil society organizations, and academic and other research institutions. All their activities support the achievement of the 2030 Agenda for Sustainable Development. In short, these Regional Centres are your country’s regional partner and they stand ready to support concrete activities on small arms control. Get in touch! In 2001, countries adopted the Programme of Action to Prevent, Combat and Eradicate the Illicit Trade in Small Arms and Light Weapons in All Its Aspects (PoA). In it, governments agreed to improve national small arms regulations, to strengthen stockpile management, to ensure that weapons are properly and reliably marked, to improve cooperation in weapons tracing, and to engage in regional and international cooperation and assistance. In 2005 they also adopted the complementary International Tracing Instrument (ITI) within the PoA framework, which requires States to ensure that weapons are properly marked and that records are kept. Moreover, it provides a framework for cooperation in weapons tracing – fulfilling one of the commitments governments made in the Programme of Action. Improving weapons tracing is now part of the 2030 Agenda for Sustainable Development, which has created a linkage between peace and security on the one hand and development on the other. The full and effective implementation of the PoA and its ITI is important for attaining Goal 16 on peace, justice and strong institutions and its Target 16.4 which calls for a significant reduction of illicit arms flows. While progress has been made in tackling the proliferation of illicit small arms and light weapons over the past two decades through the implementation of the PoA and its ITI, many challenges remain. National reports are the primary tool to assess the implementation of the instruments. A conference to review the progress made in the implementation of the PoA is convened every six years to address such challenges and to strengthen the implementation of the PoA and its ITI. Between review conferences, Biennial Meetings of States (BMS) are held. Additionally, countries have held Meetings of Governmental Experts (MGE) to benefit from the knowledge of technical specialists on matters pertaining to small arms control. The most recent Review Conference was convened in June 2018; States recommitted to the full implementation of the PoA and ITI and agreed on holding biennial meetings of States in 2020 (BMS7) and 2022 (BMS8), and a Review Conference in 2024 (RevCon4). It cannot be stressed enough: MOSAIC, the Modular Small-arms-control Implementation Compendium, is the most practical, the easiest accessible, the most complete, the widest vetted, and the most authoritative international guidance for national small arms control. The compendium is the result of a decade of coordinated work within the UN system, involving 24 partner entities with expertise ranging from development and weapons management to gender and public health. An external expert reference group of over 300 specialists, from NGOs to industry, completed the sturdy process of establishing each module. Governments often call upon the UN system to provide advice and support on issues related to small arms and light weapons control — including on legislative, programmatic and operational matters. UN agencies decided that the best way to ensure that the United Nations as a whole could consistently deliver high-quality advice and support in response to such requests, was to develop international guidance on small arms and light weapons control, similar to the standards the UN developed in the areas of mine action (International Mine Action Standards – IMAS); disarmament, demobilization and reintegration (Integrated DDR Standards – IDDRS); and ammunition (International Ammunition Technical Guidelines – IATG). • the Arms Trade Treaty. MOSAIC is based on best-practice guidelines, model regulations and legislation, codes of conduct, and standard operating procedures that have been developed at (sub-)regional levels. In other words: they never contradict your regional commitments.